Now available on Blu-ray/DVD, Now You See Me is about a group of talented magicians, known as The Four Horsemen (played by Jesse Eisenberg, Woody Harrelson, Isla Fisher and Dave Franco), who mesmerize their audiences with a series of bold heists, all while pursuing a hidden agenda that has the FBI and Interpol scrambling to anticipate their next move. Blending astonishing illusions with exhilarating action, they amaze and baffle the authorities with their intricately planned capers. During this recent exclusive interview with Collider, master magician David Copperfield, who is considered by many to be the greatest illusionist of our time, as well as being Guinness-certified as the highest grossing solo entertainer of all time, talked about collaborating on Now You See Me, drawing a lot of his inspiration from the world of film, why he enjoys consulting on movies, the challenges of making magic credible on screen, why a good magician also needs to be a good showman, the pressures of being at the top of his game, how often things go wrong during a performance, and what he’s focusing on next, in his career. Check out what he had to say after the jump. Collider: You get a lot of inspiration from the world of film, but what made you decide to blur the lines between magic and film, by consulting on how magic is represented in movies? DAVID COPPERFIELD: You know, it’s a perfect blend for me, on many levels. Magicians are the people who began to use film as an illusion on stage. In Francis Ford Coppola’s Dracula, he walks into a theater, and it’s a magic theater and they’re showing a film about a piece of magic. Storytellers took the medium of film and told stories with it. It was a miracle and a magic show. It became commonplace, eventually, but for the time being, it created the wonder. I have all of the stuff of Georges Méliès. If you saw the movie Hugo, you saw all of the work of Méliès, who was a performing magician. I have all of the letters and posters, and things that he used in his laboratory. I have tons of that stuff in my museum, which is really amazing. But before I discovered that and focused on that, my inspirations were Orson Welles, Frank Capra, Victor Fleming, and the great filmmakers who were making magic on screen. My skill was magic. I loved doing magic, performing it and inventing it. 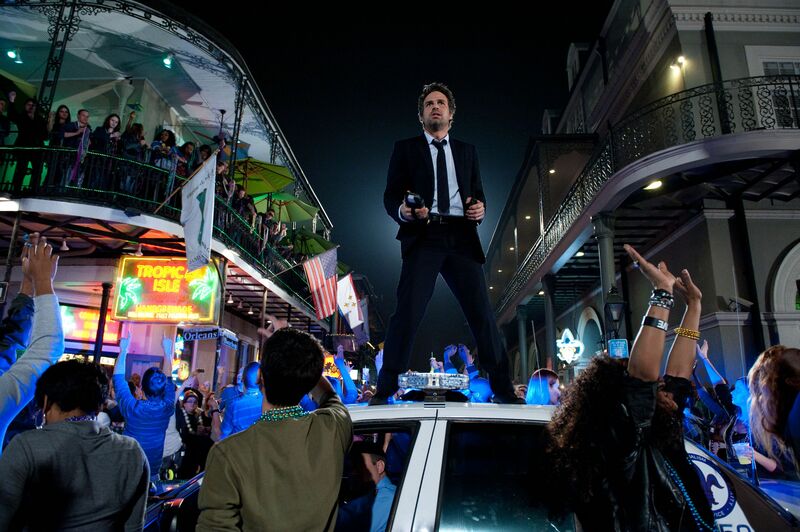 The feeling I wanted to evoke from the audience came from what I saw in the movies. So, to have that come full circle and to be not only consulting and collaborating on movies, like Now You See Me, but also creating scripts and finding stories to produce my own films is good. Was there ever any hesitation, at all, about sharing secrets and working with filmmakers about how magic and illusions are done, or is it more important to you that it’s represented properly? COPPERFIELD: I want them to get it right, or even just have the knowledge to make their own decisions. We have this amazing archive and library, and besides the historical stuff, I have 30 years of TV specials where we shot magic and made it credible in two dimensions. Normally, I do magic on the stage. I can make magic credible and resonate through a TV screen, so to be able to share what I’ve learned with people who are going to do that on the big screen is a natural thing. And no, there was no hesitation, at all. What was it like to collaborate on Now You See Me, and did you feel about the way they represented magic? COPPERFIELD: They took a lot of inspiration from my show, with the way the magic was shot and some of the illusions themselves. Transporting people around the world had never been done in a magic show, until I did it. That really started them thinking in a direction that could be a good plot point. They wanted to make magic cool, young and hip. You have to keep reinventing, all the time. The magicians in the film use their talent to rob and steal. Have you ever thought about bigger ways that magic could be used to affect the world around us? COPPERFIELD: Of course! Magic is used in espionage, all the time, for clandestine things. I’ve got a whole library from a gentleman who was hired by the CIA to create magic technology for the use of anti-terrorism. All of that kind of stuff exists. What was it like to be even more involved with Burt Wonderstone, which focused more on the individual magicians? COPPERFIELD: That was really poking fun at the world of magic. It had a sense of humor about it. We created an illusion, specifically for the movie, where it was done with no camera tricks. That was a lot of fun to give them something from scratch. When you see it on the screen, it’s what was actually happening. That was a lot of fun. Working with Steve Carell and Steve Buscemi, and all those guys, was a lot of fun. Are there particular challenges in getting the magic to really come across on film, especially when they can cheat it with edits and the audience is removed by not being there live? COPPERFIELD: Story comes first. To make magic credible on screen is always very difficult. The story is the most important thing. That is what should win. I always make it a part of my shows to really have long camera shots that don’t cut away. The camera moves and you see behind things, and you can see under and around. That allows you to really feel like you’re a part of it. If sacrifices or compromises are made, it’s usually for story. Story in magic is very, very important to me. That’s what I’ve really championed through my career. When (director) Louis Leterrier started to collaborate with us on Now You See Me, he actually did pull a pre-vis of the movie for me, and then we got together and came up with many, many ideas for things that he could do. And later on, during the shooting, there was a new ending they were trying to work out. They called me for not only the use of the magic stuff, but also story plot-point stuff, and how to combine the two properly. I’m very passionate about telling stories with magic, and that’s continued through my career. It seems as though being a good showman is just as good as being a good magician. Why do the two go hand-in-hand? COPPERFIELD: Magic is the only profession where you it’s easy to lie about your talent. If you do a trick and you can learn it very quickly, you can fool somebody into thinking you’re a great magician. In other art forms, you have to learn showmanship and have stage time, and learn the other art forms to combine with yours. I look up to musicians, actors, film directors and dancers, and they were always multi-talented. From the very beginning, I studied acting, directing, lighting, dance and movement. I didn’t rely on just the magic to take place. You have to use many different skill sets. If you’re a great singer, you also have to be able to move and speak well. With magic, you can get away with just doing the trick. So, learning the skills was something that I always cultivated. It’s a shame that a lot of magicians just rely on the trick itself and they have no other abilities. They get away with the wonder factor, and I don’t think that’s enough. It’s great, but it’s not enough. 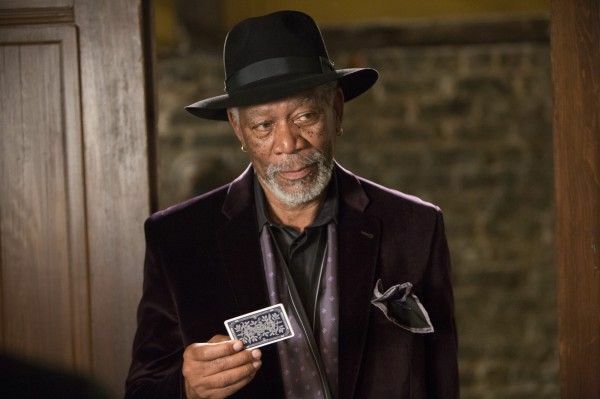 In a movie like Now You See Me, the actors are very talented in so many other ways that you automatically get those other skill sets with it. So, a combination of all those things is important to every art form, including magic. There is a comment made in the film that magic is really nothing but targeted deception. Do you feel that way, or is it more than that? COPPERFIELD: For a performance to be successful or last, it has to be more than that. I don’t think it’s just fooling people. I think you have to take them on a journey, and that’s not just targeted deception. In the case of a heist, you’re trying to deceive somebody to swindle them or be Robin Hood, maybe that’s true. But as far as being an honest performer, it’s more than that. It was interesting to read that your company also designed magic for Paranormal Activity, which you wouldn’t necessarily think would need that. Do you think people would be surprised with how much magic, illusion and slight-of-hand is really present in movies? COPPERFIELD: In movies, storytelling and every single art form, we’re creating wonder. You’re starting with a blank page and creating something that doesn’t exist, so it really does make sense. With so many magicians out there now, how do you stay relevant? Is that something you feel like you always have to be aware of? COPPERFIELD: I don’t really work on it, in that way. I just try to keep it interesting and fresh for me, and try to reinvent the art form. I’ve done it a few times, and we’re continuing to do that. The relevance is either going to happen or not. It just falls into place, luckily. Almost anything is possible in film now, with CGI and 3D and all of the technological tools that people use, and everybody has a video camera on their phone that they use to document everything around them. How much do people’s expectations up the ante of what you do in your shows? COPPERFIELD: All of the technology and the fact that everybody is participating now is very inspiring and very motivating. It gives you a responsibility to really do interesting things. It motivates other people to up their game, too. I think it’s a great time. You’re successful enough that you wouldn’t have to work anymore, if you didn’t want to. What is it that really inspires you to keep performing for audiences? COPPERFIELD: It’s not work. All the lawyers and the business stuff is work, but actually creating stuff isn’t work. It’s good effort. It’s hard work. But, it’s not work. It doesn’t feel like work because the result is very rewarding. It must also keep you young, in the sense that you always have to use your imagination, making you something of a big kid. COPPERFIELD: I think so. My job is to make people dream. Of course, there’s a lot of technical stuff behind the scenes and a lot of hard work behind it, but I get to watch people see the result of that hard work and feel that wonder and feel that discovery, all the time. That’s a great feeling, for sure. When you hear that more people have seen you perform live than any other performer in the world, how does that make you feel? Is that something you can soak in and really appreciate, or do you just stay so focused on what you’re doing that you don’t think about that type of thing? COPPERFIELD: It makes me smile, but then there’s so much to do that you don’t have time to really focus on that. I realize how much time I spend on my work. When I hear that, it makes me think that maybe I should spend more time with my family. I do spend time with them, but I’m doing 15 shows a week, seven days a week. I have no days off, but I’m still driving my kid to school. It’s an interesting balancing act. It’s all very rewarding. I’ve just gotta make sure that I take plenty of naps. Does being called the best magician alive give you a lot of pressure to live up to that? COPPERFIELD: Well, that’s very nice of you to say, by the way. The real thing is just to focus on what you’re doing. Then, it’s authentic. So much, in every art form, is inauthentic, especially today with all of the stars that are in reality TV who are just there to be famous. When I was a kid, people wanted to be an astronaut. Today, kids want to be famous, and that’s totally the wrong approach. You have to have authenticity in what you’re doing. You have to really care about the core message of what you’re saying, and then everything else will fall into place. It’s not work, but I do work hard, and I relish the opportunity to share the results. With any live show, there is the possibility of human error and there are a million chances that something could go wrong. How often have you had something go wrong, and are you good at rolling with that? COPPERFIELD: That happens, all the time. Things go wrong, at every juncture. We have a Plan B for everything, and my people are really trained to make sure they know what our back-ups are to make it appear flawless. Have you had any injuries from performing something that didn’t go as planned? COPPERFIELD: I’ve had many. I cut off the tip of my finger and had to have it sewed back on. I’ve torn muscles in my back, doing an escape from a tank of water. I was wheelchair bound for awhile. Is there anything you’d still like to accomplish in your career, that you haven’t had a chance to do yet? COPPERFIELD: We are developing some projects now, and we have some great scripts to produce. We’re working with scientists to show what the future is going to be like with magic, and maybe inspire our future generation of dreamers. We’re doing magic with animatronics, which is really amazing. It will be interesting. It’s a very exciting time for me. 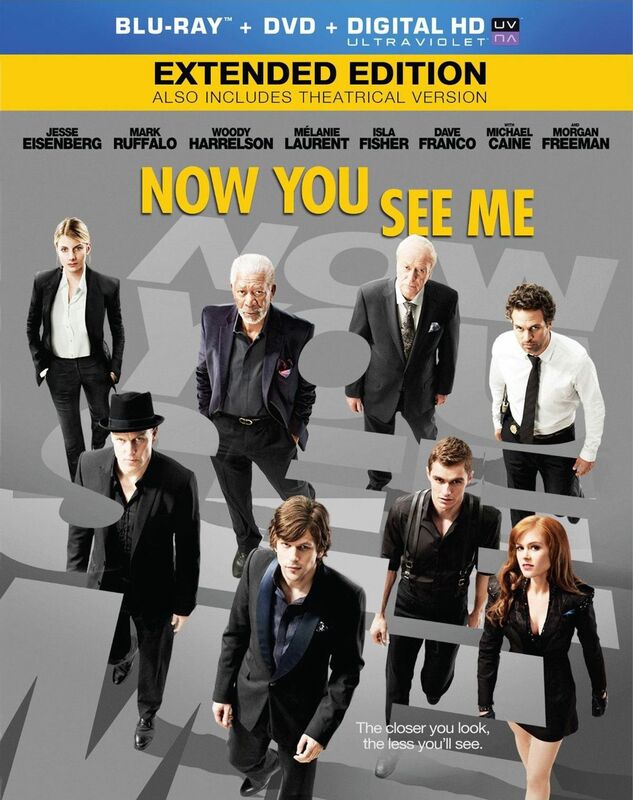 Now You See Me is now available on Blu-ray/DVD.